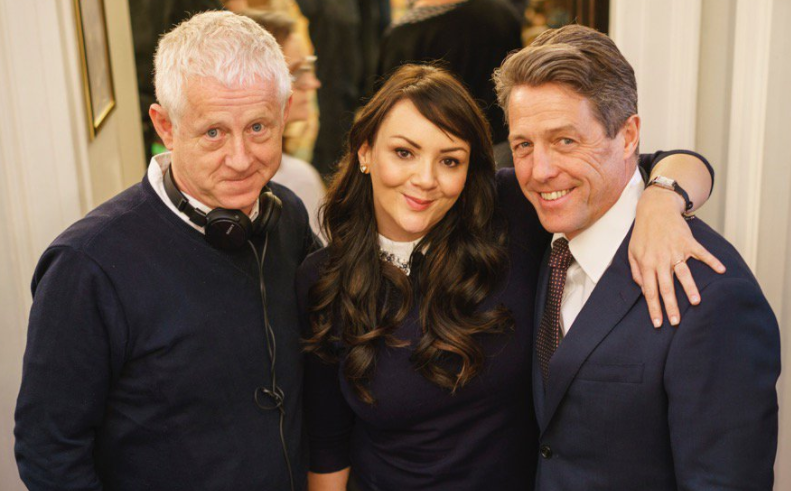 PICTURES of Hugh Grant filming scenes for the upcoming Love Actually reunion have been shared on Twitter. The images from the set of the Comic Relief special also show Martine McCutcheon returning as the loveable Prime Minster’s wife. Script writer Emma Freud, who is the director of Red Nose Day and partner of the film’s creator Richard Curtis, has been sharing sneak peeks of filming on her Twitter account. The latest show scenes being shot today featuring Grant, who appears to still be Prime Minister in 2017. Others returning for the ten-minute short film special include Keira Knightley, Liam Neeson, Colin Firth and Andrew Lincoln. Fans won’t have long to wait to see the finished article, which will be shown on March 24th on BBC One’s Red Nose Day live event. Curtis said last month: “We’ve been delighted and grateful that so many of the cast are around and able to take part – and it’ll certainly be a nostalgic moment getting back together and recreating their characters 14 years later.